The US maker of enlargers Beseler evidently had a government contract to produce a 4×5 inch press camera. Like the Beseler Topcon cameras, it may have been an import, branded with the Beseler name. This model is sturdily built, has a viewfinder with multiple lens framelines, and offers a focal-plane shutter and a Graflok-style back. 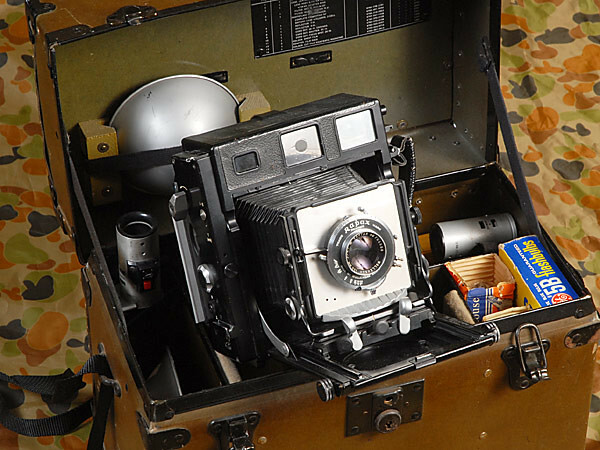 This is quite an uncommon camera, raising the question of how seriously Beseler pursued civilian sales of the model. This page was last edited on 14 November 2013, at 19:07.